Computational Neuroscience combines experimental neuroscience with advanced data analysis, computer simulation, and mathematical modeling. On the basis of well-defined theoretical concepts, Computational Neuroscience provides a unifying scientific language and methodology that can be used across disciplines ranging from neurobiology to cognitive science, systems biology, and information technology. 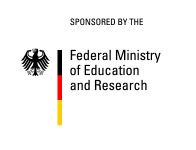 The center is part of National Bernstein Network for Computational Neuroscience (NNCN), funded by the Federal Ministry of Education and Research. The Network is named after Julius Bernstein (1835-1917), the German physiologist and biophysicist whose “Membrane Theory” gave the first explanation of action potentials (1902).